Follow Christine Young’s board Valentine Ideas For Kiddos on Pinterest. Ray and I have never really gone out and made a big deal of Valentine’s Day. It really is just another day for us to show our love and appreciation for each other, as we try to do every day. Actually, just a couple of days later is a big anniversary for us. This year, on February 16th, Ray and I will have been an official couple for 17 years! SEVENTEEN YEARS!!! So, on Valentine’s Day this year, like most, we will be staying in. But, that doesn’t mean we can’t make the day special or still have a romantic evening of our own. I’ve gathered just a few ideas on Pinterest to inspire the same for you. Follow Christine Young’s board Be Mine on Pinterest. 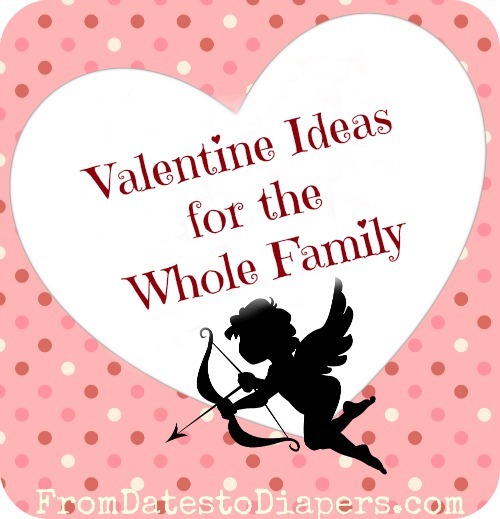 What do you and your family do for Valentine’s Day? Any special traditions? We have celebrated with a special family dinner and love notes from mom. The notes have been made into all kinds of games. Cut into heart shape and then into puzzle pieces, write a riddle on the back leading to find the next piece, give them the first piece of course. One year I strung them up in the living room and made a huge web of yarn with each piece attached at the end. With nine children and my husband all intertwining together to find their next piece…lots of loving going on for the evening. We just enjoy celebrating the love of God in our family.